In April 2014, Canopy Growth became the first cannabis company in North America to be publicly traded. We followed that with being the first to complete a “bought deal”, to diversify our platform to include both greenhouse and indoor growing, to acquire a major competitor and to be listed on the Toronto Stock Exchange. Continuing those firsts, we remain the only cannabis company to be a member of a major global stock market index, in this case the S&P/TSX Composite index. 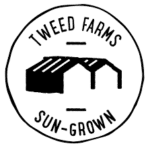 Away from the markets, Tweed, a Canopy Growth subsidiary, was the first to introduce the now standard concept of Compassionate Pricing to make medical cannabis affordable for patients, and we remain proud to continue supporting a patient’s right to grow at home by selling the widest variety of seeds in the legal Canadian sector. Our commitment to education has and always will be unwavering, as one of the first Canadian cannabis companies to offer Mainpro-M1 accredited continuing medical education programs to Canadian physicians, and to launch in-person assistance through our Tweed Main Street locations. Tweed was also the first Canadian producer to be approved to export dried cannabis to Germany, and our wholly-owned German subsidiary continues to offer an ever-increasing variety of products for sale through German pharmacies. Canopy Growth was the first to strike a strategic relationship with a Fortune 500 beverage alcohol supplier to bring exciting new products to market, and to enter into ground-breaking supply agreements to sell adult-use cannabis to provincial governments across the country. Most recently, in May 2018, it was the first cannabis-producing company to be listed on the New York Stock Exchange. Are you intrested in joining the Canopy Growth Corporation (formerly Tweed Marijuana Inc.) team? Tell us about yourself using the form below. See the latest announcements direct from Canopy Growth Corporation (formerly Tweed Marijuana Inc.) - Coming Soon.